A week after a powerful quake rocked Japan's northernmost main island of Hokkaido, people mourned the deaths of 41 people as around 1,600 others remained in shelters as of Thursday. 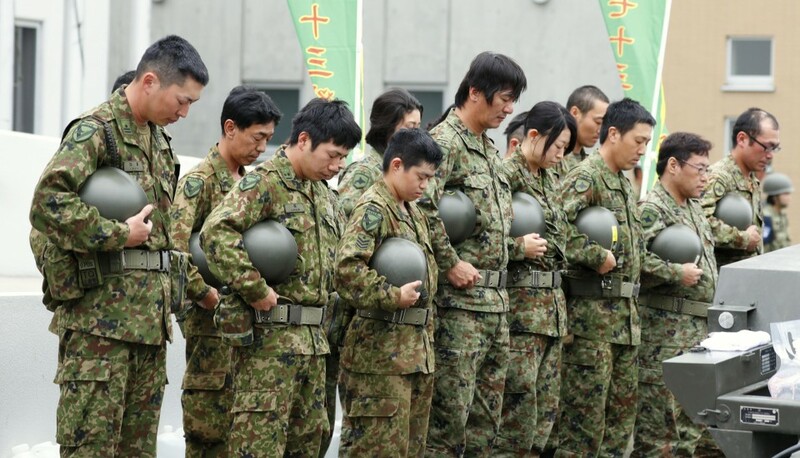 Self-Defense Forces members offered silent prayers at an evacuation center in the worst-hit town of Atsuma at 3:07 a.m., the same time the magnitude 6.7 quake occurred on Sept. 6, triggering landslides that engulfed homes and killed 36 of the town's residents. A total of 681 others have been injured across Hokkaido. "It's truly regrettable," 63-year-old Yasuo Sato said while looking at a mound of soil that hit the home next door belonging to his 65-year-old cousin, Masayoshi Sato, who was killed. Yasuo Sato was taking belongings out of his own home, which was at risk of being hit by another landslide amid continued aftershocks. "It has already been a week. The victims included a colleague of mine, and it is just sad and regrettable," 57-year-old town official Masato Aoki said as he worked inside the town office facility. "We've been putting top priority on saving people's lives but from now, we should work toward rebuilding so residents can lead a normal life soon," he added. Some 1,650 households in Hokkaido are still without water supply, and fully re-establishing the system is expected to take about one month, according to the Hokkaido government. Atsuma has found that at least 220 buildings in the town have been affected by the quake along with roads and farmland. At a meeting of Cabinet ministers, Prime Minister Shinzo Abe said the government plans to designate the quake as an extremely severe natural disaster that requires financial support for reconstruction. 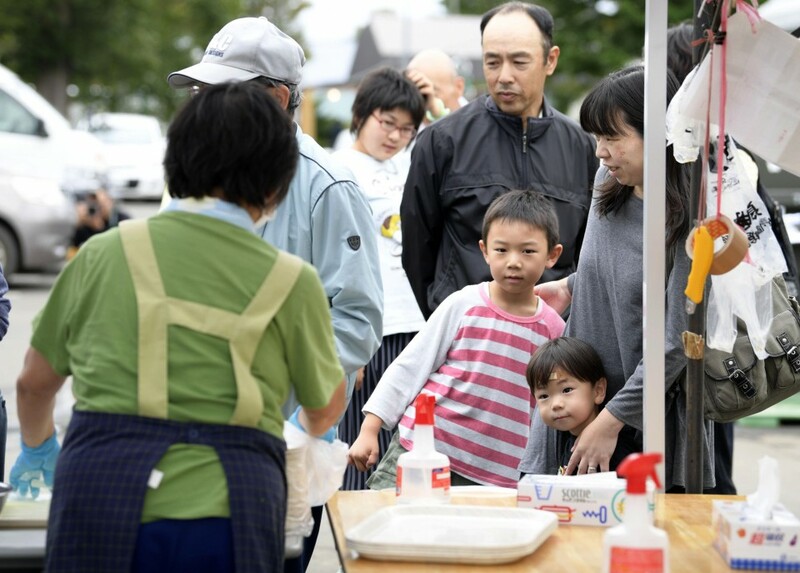 Abe instructed the ministers to draw up measures to assist residents in disaster-hit areas in rebuilding their livelihoods and support Hokkaido's main dairy farming industry and local tourism. The quake, which damaged Hokkaido's largest Tomatoatsuma coal-fired power plant and forced other plants to come to an emergency halt, temporarily caused a massive power outage covering the entire island, affecting some 2.95 million households. Hokkaido residents and businesses have been asked to curb energy use, while Hokkaido Electric Power Co. has worked to secure stable power supply through multiple energy sources. One of the two units at the Kyogoku hydroelectric power station resumed operation on Thursday, with the other expected to be back up and running on Friday. The Tomatoatsuma plant, the largest thermal power plant on Hokkaido which produced about half of its power output at the time, sustained damage to its facility and soil liquefaction was confirmed at its premises, according to its operator Hokkaido Electric. The phenomenon, in which soil becomes saturated with ground water and loses its solidity due to shaking, will not affect the plant's recovery work, the company said.